YANGON, MYANMAR - 03 Jan 2014 : Burmese pilgrims visit Shwedagon Pagoda in evening dark. This pagoda is the most sacred Buddhist pagoda for the Burma. hd00:26Yangon, Myanmar - November 14, 2015: Buddhist Pilgrims in the Shwedagon Pagoda at dusk. 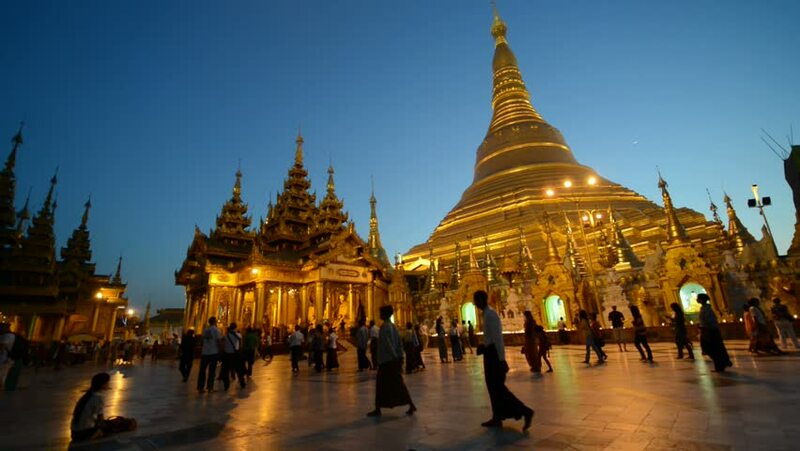 It is the most sacred Buddhist pagoda for the Burmese. hd00:10YANGON, MYANMAR- November 20 : People visit the Shwedagon Pagoda on November 20, 2012. Shwedagon Pagoda is the most sacred Buddhist pagoda for the Burmese.